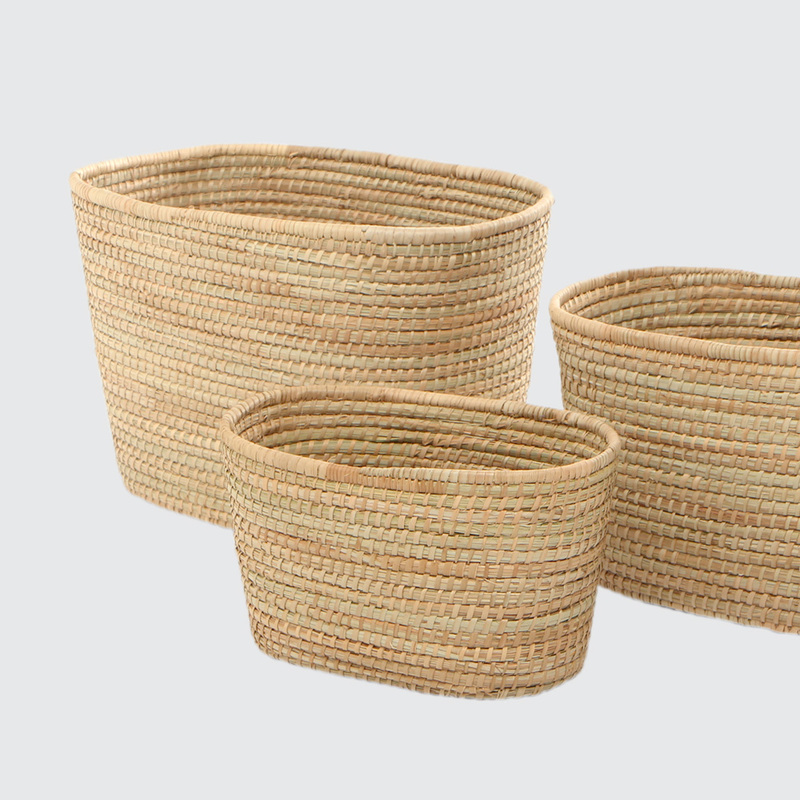 A strong, sturdy basket woven with Palm. Great for storing anything from magazines in the small size to firewood in the large size. Notify me when 0 Oval Sinan is available.